It is officially Great American Bash weekend! We’re going to be celebrating and keeping you posted all weekend on this historic weekend, because tomorrow night we will be crowning the first ever Divas Champion! Anyway, WWE.com has a really interesting article on the new title, including comments from many Divas including the challengers – Michelle and Natalya – and even Raw’s Beth Phoenix. After nine years of battling without a title, the Divas of SmackDown finally have their golden opportunity â€” the newly-created Divas Championship. When SmackDown General Manager Vickie Guerrero, referring to herself as â€œthe woman in power in a male-dominated worldâ€ introduced the new title, she made history. Now, only one question remains: Will it be Natalya or Michelle McCool who will join the GM in carving her name into the history books as the first to wear the Divas Championship crown? Third-generation Diva Natalya became the first contender in line for the honor after reigning victorious in a Golden Dreams Match against six of the Sexiest Women on Television. In that match, she managed to plow through her best friend Victoria, as well as Michelle McCool, who she will face one-on-one at The Great American Bash for the title. SmackDownâ€™s All-American Girl, who fittingly won her chance at the Divas Championship on Independence Day, knows that going against Natalya for the coveted title on Sunday will be no easy feat, but McCool says she is prepared to prove herself, and will stand tall over her competition. Natalya and Michelle McCool have had quite the rivalry since Natalya burst on to the SmackDown scene. At the pay-per-view, they will finally get their chance, not only to face one another in singles action for the first time, but also to be a part of history. â€œIâ€™ve been watching Michelle very closely and studying her work. I really think Iâ€™ve met my match. Sheâ€™s one of the hardest working Divas in WWE, but she better be prepared for the fight of her life.â€ Natalya said of her opponent. Once a Divas Champion is crowned, the titleholder becomes a target. 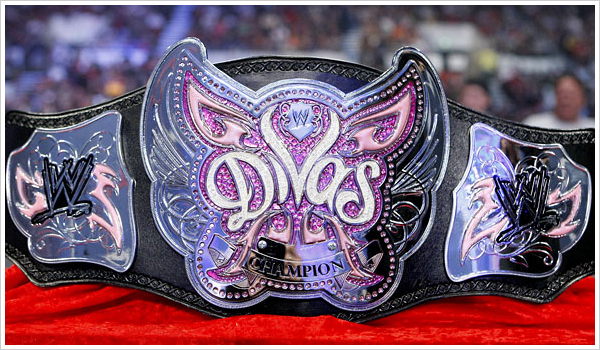 All SmackDown Divas will be eyeing the prize. Former Womenâ€™s Champion Beth Phoenix, although a Raw Diva, is also looking to get her hands on the Divas Championship and make some history of her own. The Glamazon said recently that she believes Vickie Guerreroâ€™s decision to create the title will only assist her in becoming a Diva legend. An invitation is exactly what Michelle McCool plans to extend to Phoenix if she defeats Natalya at the Bash on Sunday. Find out whether it will be Natalya or Michelle McCool who will shine as the first-ever Divas Champion by checking out The Great American Bash, Sunday at 8/7 CT, only on pay-per-view.